World Laughter Day takes place on the first Sunday of May of every year . The first celebration was on January 11, 1998, in Mumbai, India , and was arranged by Dr. Madan Kataria, founder of the worldwide Laughter Yoga movement. Laughter Yoga says: Laughter is a positive and powerful emotion that has all the ingredients required for individuals to master themselves and to change the world in a tubular way. The day is now celebrated worldwide. History World Laughter Day was created in 1998 by Dr. Madan Kataria, founder of the worldwide Laughter Yoga movement. The celebration of World Laughter Day is a positive manifestation for world peace and is intended to build up a global consciousness of brotherhood and friendship through laughter. Its popularity has grown exponentially with that of the Laughter Yoga movement now counting thousands of Laughter Clubs in more than 72 countries. Laughter Yoga is a revolutionary idea – simple and profound. An exercise routine, it is sweeping the world and is a complete wellbeing workout. Developed by a medical doctor from India Dr. Madan Kataria and it has spread across 72 countries. Oxygenates Your Body and Brain: Laughter Yoga is combination of deep breathing exercises from yoga and laughter exercises, which oxyginates our body and brain, makes us feel more healthy and energetic. Laughter Yoga sessions are led by a laughter leader or teacher, who controls the laughter session, explains and gives commands to start and complete different Laughter Exercises. The leader guides the members to start and complete laughter exercises together for improved group dynamic. During most Laughter Yoga exercises, group members keep moving, and establish eye contact with others in the group. 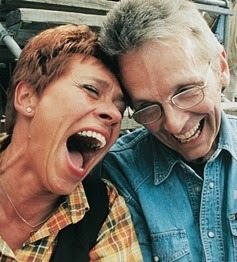 Most laughter sessions focus on enjoyment, rather than force, when doing laughter exercises. The laughter session strives to cultivate childlike playfulness during Laughter Yoga exercises. Rhythm is added to the clapping, to further increase energy levels and group synchronicity, often a 1-2, 1-2-3 rhythm.Movement is then added. There are many variations, but most move hands up and down and swing from side to side, with corresponding movements of the hands and feet.A simple chant is added to the clapping, normally HO, HO, HA-HA-HA. These are heavy exhalations that come from the belly, to stimulate diaphragmatic breathing.Adding dance movements boosts feelings of happiness and joy. Enthusiastic clapping, chanting and movement, help build positive energy, gets the diaphragm moving, and creates a positive group dynamics in preparation for Laughter. Gibberish is a language of sounds without meaning. Children speak gibberish when learning to speak and during play. Gibberish may be used as a Warm up Exercise in Laughter Yoga, to help people to loosen up and reduce inhibitions and shyness. One of the objectives of Laughter Yoga is to cultivate Childlike Playfulness that helps us to Laugh Without Reason. A happy chant to use after a Laughter Exercise: VERY GOOD (Clap Forward), VERY GOOD (Clap Forward), YAAAAAAY (Swinging arms up into a Y shape with thumbs up in childish exuberance and exhilaration). 1. Yoga-based - Derived from Yoga postures. 2. Playful Exercises - Playful Exercises help to reduce inhibitions and shyness, and convert simulated Laughter into unconditional Laughter. They often include method-acting techniques to shift our mindset, imagining and acting out a situation or a role. One-meter Laughter, Milkshake Laughter, Mobile Phone Laughter and Hot-Soup Laughter are especially popular. 3. Value-Based Laughter Exercises - These Laughter Exercises are designed to ‘program’ positive feelings to gestures, or situations while laughing, teaching our subconscious new auto-responses. Visa Card Laughter, Appreciation Laughter, Greeting Laughter, and Forgiveness Laughter are popular. Some groups incorporate light Physical Exercises between bouts of Laughter, especially when Laughter Clubs meet in the morning for Seniors and special groups. The Physical Exercises chosen may promote mobility through Stretching, ease Cervical Spondylosis, Neck Stiffness and Frozen Shoulder, and other common complaints of Seniors. Some Laughter Yoga groups perform Laughter Exercises in a more energetic way and develop high energy exercises (like power Yoga). This can be invigorating with very high levels of energy being generated. Laughter Yoga Exercises are sometimes followed by Laughter Meditation. As you do Laughter Meditation, Laughter may flow like water from a fountain --- a more spontaneous and deeper experience than that achieved through Laughter Yoga Exercises. 1.Sit comfortably in an inward facing group so people can see each other and make eye contact, not too spread out. 2.Nobody should talk or try to communicate in any way with others (no eye messages, funny faces, and funny sounds), as this will engage the conscious mind --- the conscious mind must be disengaged. 3.Sit in silence with eyes closed, keeping an awareness of your breathing. After silence, open your eyes and sit in a relaxed position (not a Yoga posture). 4.Initiate by simulating Laughter in a slow and gradual manner as in Gradient Laughter. Soon one person begins genuine Laughter and others follow. If not, we may alternate periods of quiet with Pranayaama exercises to stimulate the diaphragm until Natural Laughter begins to break out, at which time we normally lie down and let the Laughter flow. 5.It is not unusual for people to undergo strong cathartic moments during Laughter Meditation. This is positive as they are release powerful emotions and emotional problems that may have been pent up or many years. 6.Laughter may be interspersed with tears and even anger, as emotions surface, and are released in wonderful non-violent catharsis. Should this occur, allow it – do not comfort that person. 7.The Laughter Leader will gently bring people out of Meditation back to silence, with a focus on their breathing. 8.Laughter will continue to bubble up but the Laughter Leader will take steps to settle the group, before leading Guided Relaxation. The extent of the Relaxation will depend on the group, Session intensity, the time of day and other factors. During Laughter Yoga, exercises stimulate blood circulation, raising the blood pressure for a period before it comes back below the base level. The muscles contract during a Laughter Session before they come back to their Relaxation Mode. 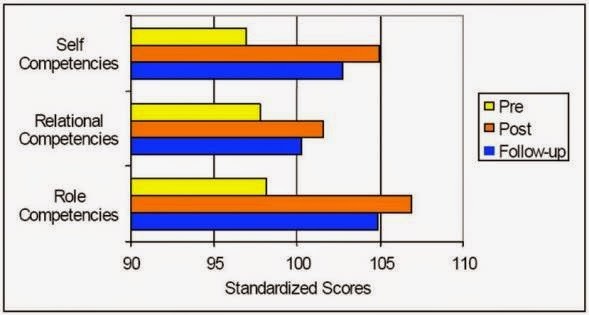 Consequently, the real benefits of Laughter Yoga do not occur during the stimulation phase, but become apparent after the Laughter Session, during relaxation. Laughter is a powerful dynamic energy that can open your sub-conscious mind and release pent-up feelings and emotions. After intense Laughter Yoga Sessions, some people become sad and start crying, while others experience bouts of anger, irritability and other negative emotions. For that reason, it is important to do Grounding Exercises after a Laughter Yoga Session to normalize our systems, and allow Relaxation Techniques to ground the energy of Laughter. After Laughter Meditation, energy levels can be too high to return directly to normal. To reduce these levels the leader may talk the group through Guided Relaxation, also called ‘YOGA NIDRA’, or Yogic Sleep. This guided body tour brings immense Relaxation by bringing complete awareness to different parts of the body as guided by the Laughter Leader. There is no fixed route or sequence. With eyes closed, take a long breath in and hum it out, actually saying the word "Hummm..." with upper and lower lips just touching each other. Vibrations are felt throughout the facial muscles, sinuses and, eventually in the head. This Exercise is also beneficial for those with Chronic Sinusitis and Nasal blockage, because humming vibrations help to dislodge mucus and also increase blood circulation. Humming has a powerful impact on the Autonomic Nervous System, and can activate the parasympathetic system that is responsible for Relaxation. This exercise is most effective when done in a group. It is better to hum at the same time under the instructions of the leader. Humming together creates a unique resonance which is very calming. Different people have different breathing capacities; some people can hum longer than others. When leading Group Humming, ask participants to hum for as long as they can, then inhale and repeat. Ten minutes of Humming is recommended for Grounding. Ever since we started the Laughter Club scores of people attending the laughter sessions have reported improvement in their health conditions especially those suffering from long term chronic diseases. But, is laughter really a healing force? b) The second is a psychological reaction to the disease. This is the mental part which makes people apprehensive and anxious about what’s going to happen to them with that disease. A series of negative thoughts keep coming to the mind especially to those who suffer from long term chronic diseases. As a medical doctor I would say that Laughter Yoga exercises help in both the components. First, it makes your mind positive and brings hope. As most diseases have more than 50% psychological element it is taken care of immediately and the person feels an improvement in their health condition very quickly. The kind of thoughts we get depends upon the type of hormones circulating in the blood which are released depending upon the state of mind - When one is under fear more negative chemicals are released in the blood resulting in more negative thoughts and feelings. Laughter Yoga exercises fills up the body with positive chemicals, a kind of joy cocktail, which makes one more optimistic and brings hope to get over the disease process. To take care of the organic element of the disease, Laughter Yoga helps by increasing the net supply of oxygen to the body cells thereby healing at the cellular level. Laughter Yoga also strengthens the immune system, a very important factor for healing of any disease. In a nutshell Laughter Yoga not only prevents the illness but also has therapeutic value which helps to heal faster from a variety of illnesses. A short 15-20 minute session of laughter yoga at the beginning of a lesson gets the blood flowing and creates endorphins, energy and enthusiasm. It opens up the creative, right side of the brain, facilitating learning capacities. Any physical warm-up activity in theory, should have a similar effect. However, laughter yoga offers something more. It leads to physiological changes within your body. It puts you outside your comfort zone, by initially making you feel like an idiot, but then you realise that everyone else is in the same boat, so you play along. Once you’ve done a short session of laughter yoga, you are willing to do more or less anything that the teacher throws at you. Nothing else that the teacher asks you to do will be even half as embarrassing! You’ve got passed that stage. Any inhibitions that you might have had are also eroded. Shy students especially benefit from this activity, not always immediately, but certainly, in the long-term. Laughter Yoga changes ‘who we are’ for the better and fosters healthy happy relationships. Laughter is perhaps the oldest tool of communication that helped people to establish a connection with each other. It also signals an emotional acceptance in a group and being contagious in nature, it creates a positive environment and a bonding of relationships. In today’s modern and stressful world, the dissolution of social networking, and breakdown of two way dialogues between people have taken its toll on various relationships within the social fabric. Be it parental, marital or professional, every relationship is exposed to negative strains that wear away the emotional bonding. Young children, teenagers and seniors are most vulnerable to family and emotional breakdown which leads to many physical and mental problems. This is a new revolutionary exercise routine that combines laughter with yogic breathing to alleviate stress and anxiety arising due to crisis in relationships. It has the ability to elevate mood states and create a joyful environment. Besides the enormous physical health benefits, Laughter Yoga lifts the spirits and brings a sense of calmness to the mind – all of which are essentials for a healthy, happy relationship. Breakdown of family systems: The increase in broken homes and the lack of emotional bonding with parents or responsible adults combine to cause a host of emotional problems that were seldom part of a traditional human childhood. The breakdown of the extended family and the reduction in family size means that many children are alone and can hardly develop healthy relationships with peer groups and adults. Laughter Yoga helps in the release of emotions through painless catharsis. Laughter promotes positive emotions and coping skills. The group dynamics establishes a caring –sharing network of relationships and emotional bonding. It helps children to cope with daily pressure of studies and authoritative demands of both parents and teachers. Both parents and children are able understand each other and learn to deal with their problems in a better manner and become more considerate and accepting. The attitude towards peer group and elders also undergoes a positive change. Relationships with teachers: Children faced with a competitive academic environment from early age are being pressured by their parents and teachers to attain excellent grades. Schoolwork results in many symptoms of stress and high social anxiety. As they learn to laugh unconditionally, they become adept at handling pressure. Laughter Yoga builds self confidence and the ability to handle stress by boosting the immune system and releasing endorphins in the brain which ‘kick start’ good feelings and reduce stress. The hostility towards all type authority is dissipated and children develop the art of expressing their emotions freely. Parental inconsistency: During the transitional phase of teens parents raise their expectations and become quite inconsistent in their behavior. They sometimes want their children to behave like kids and sometimes like adults. These instructions send confusing signals to children and they become self protective and draw back into their shell. Laughter helps to dispel thoughts of distrust and hostility arising out of continuous confrontations with parents. It helps to promote patience, tolerance and acceptance. Peer competitiveness: Growing sense of competition among peer group at times leads to feelings of jealousy and antagonism. Relationships suffer as a result of this rivalry and unfriendliness. Laughter helps to boost the self-confidence and encourages a great network of healthy relationships. It encourages team building and eliminates feelings of aggression, contention and animosity. A hearty laughter helps to develop a sense of independence and self-reliance. It boosts self esteem and helps them to connect with people in a much better manner. It leads to strong bonding and creates a network of caring and sharing relationships. The basic requirement for marital harmony and success is communication and expression of emotions, the lack of which can lead to a breakdown of relationship and emotional stress. It is important that feelings of anger, resentment and hurt do not accumulate. Laughter Yoga is a physical exercise that works on the body and mind simultaneously. It provides tools to deal with stressful situations in new ways, providing an alternative to anger/aggression and resulting fear. The goal of Laughter Yoga is to connect people with one another at heart level without judgment. It improves communication as it is hard to remain in conflict with someone when you are laughing. Power struggles cause us to focus on our own needs and ignore the needs of others. Laughter interrupts the power struggle. Laughter Yoga allows one to be more open and creates a feeling of safety where issues seem less important. It allows one to express more clearly and creatively. It allays feelings of criticism and sarcasm and is a pathway to unconditional love. Loving with the mind is conditional. Loving with the heart is unconditional. The bonding qualities of Laughter Yoga allow us to feel such emotional closeness that we want to be physically and spiritually close as well. Laughter with all its powerful mechanisms of communication and feel good factor would definitely nurture a marriage better than a counselor! Laughter Yoga goes beyond just laughter. Dr. Kataria has developed techniques to stimulate childlike playfulness, to adjust the aerobic and stretching component, and to promote emotional flow and release. It improves physical health and releases negative thoughts and emotions. It helps us to develop an attitude of forgiveness, generosity, compassion, and helpfulness while actively seeking the happiness of others. It produces a change from an ‘I want’/taking/selfish state of mind to a loving/caring/giving state of mind with increased empathy and compassion towards the members of the laughter group and towards others as well, thus improving all relationships. The practice of Laughter Yoga causes the body to release into the bloodstream high concentrations of communication substances related to feelings of happiness, warmth, unconditional love, bonding, tolerance, forgiveness, generosity, and compassion. Let’s call this a joy cocktail. The presence of this ‘JOY COCKTAIL’ of hormones and neuro-peptides precludes the production of other hormones and neuro-peptides that correspond with hatred, fear, violence, jealousy, aggression and the emotions associated with war and oppression. Laughter puts us intensely in the moment. The ability to live life fully and experience the ‘now’ is so important because it is only in the ‘now’ that we can experience joy. It helps us cope with challenges and conflict better because it gives us a better perspective. It shrinks the hurts and upsets of everyday life to a smaller, if not inconsequential size. Issues appear less overwhelming. Even annoying traits of people we interact with suddenly seem less important and become bearable (or even endearing) when we laugh about them. Laughter makes us feel good because it defuses painful emotions like fear, anger and resentment by releasing them. This cathartic release is a preventive for conflict. It eases tension and help one to see and understand others people’s point of view, thus nurturing better relationships. Beauty is not looks alone – it is holistic as it encompasses both physical and mental attributes. Enhancing this wholeness of self is laughter - an elixir for wellness. It helps to outwardly reflect the inner glow of good health, happiness and joy. The well being of people is largely dependent on fitness levels both physiologically and psychologically. The constant struggle to cope with enormous stressors in life takes its toll on one’s appearance. Stress is the number one killer and is writ large on one’s face making one prone to untimely ageing. Laughter Yoga benefits both body and mind. It reduces stress levels and stimulates the production of endorphins, natural opiates known for their relaxing effects. It also helps to release muscular tension and reduce the negative physical symptoms of stress, worry and anxiety. It is an exercise that is extremely relaxing and provides a sense of calm. Certain specialists even claim that one minute of laughter equals 45 minutes of relaxation. Besides relieving tension, laughter exercises are excellent for an overall health. They help to prevent heart disease, insomnia and depression, diminishes constipation and fatigue and reinforces the immune system – all of these if regulated and disciplined are factors that can enhance beauty. Laughter Yoga is the fastest growing alternative therapy for fitness, an integral part of beauty and health. Laying stress on the importance of breathing and oxygen, Laughter Yoga is well defined as the best way to increase the net supply of oxygen and boost the immune system. It flushes the lungs of stale residual air, promotes circulation in the lymphatic system, increases blood circulation, and massages the entire body mind system, which helps to cleanse the body of toxins and waste products, leaving one glowing with health and beauty. On the psychological front, Laughter Yoga is an instant stress buster. It has the power to change the mood states by releasing endorphins and generating a feeling of mental and physical soundness, thereby sanitizing the system of negative emotions and recharging the mechanism with a positive outlook. Laughter Yoga is anti-ageing. Laughter contractions tone the facial muscles. They increase blood supply to the face, which is why people look flushed when they laugh. The influx of blood and nutrients nourishes the skin and makes it glow. People look younger and more approachable when they laugh. Research has proved that chronic stress can undermine the health. Constant stress restricts the cells, which stop dividing and eventually die. This is what sets off the ageing process and the symptoms become physically more apparent. Laughter Yoga is a natural, fun and easy way to move towards good health and experience feelings of joyfulness. It has the power to unwind the negative symptoms of stress. The secret of Laughter Yoga is that the body is hardwired with powerful natural reactions to extended hearty laughter releasing a cocktail of healthful hormones and chemicals. Laughter Yoga is fun and a simple form of exercise that makes one feel good. It provides a good workout without breaking a sweat. Twenty minutes of laughter in the morning can leave one fully refreshed and energized throughout the day. It also provides a great cardio workout without having to dress or get sweaty. It radically reduces cortisol which is responsible for belly fat that is difficult to shed. The increased oxygen levels are great for skin and brain. Boosted endorphin levels reduce aches, pains and frown and keep the check on ‘crow’s feet.’ Laughter exercises the muscles and works out the stomach, abs, back and pelvic groups. It also massages the facial muscles and reduces wrinkles making one look much younger. If being silly can lessen stress and cause one to relax, reduce wrinkle-causing tension on the face and makes one look more beautiful, then why not be silly and laugh off all worries and immortalize age. Laughter Yoga is the fastest, simplest and the easiest way to work out anger management. It helps to relieve all stress and generates positive emotions by increasing the levels of positive hormones which help in dissipating anger. Stress / frustration: The inability to fulfill goals, professional and interpersonal failure are some of the causes that can lead to feelings of anger and resentment. Confrontation and conflict is the outcome of anger that is expressed in aggressive behavior and hostility. Anger also alienates people who might otherwise be willing to work with you on a solution. Laughter Yoga helps us cope with challenges and conflict better because it gives us a better perspective. It shrinks the hurts and upsets of everyday life to a smaller, if not inconsequential size. Issues appear less overwhelming. We are touched by the issue, but not contained by it. If we pay too much attention to our issues, they can become our focus. If we are able to laugh about things they diminish. Even annoying traits of people we interact with suddenly seem less important and become bearable (or even endearing) when we laugh about them. Laughter makes us feel good because it defuses painful emotions like fear and anger by releasing them. That release can prevent or stop conflicts, ease tension and help us to see and understand others people’s point of view. Laughter makes us generous to a level where we feel better giving than receiving. It lifts us up and makes life worth living. Perceived threat: Anger is a result of some grievance that is either real or perceived. It could be due to several factors such as past experiences, behavior learned from others, genetic predispositions, and a lack of problem-solving ability. Sometimes anger and frustration are caused by very real and inescapable problems in our lives. Laughter has the power to mitigate the damage done by feelings of anger. It releases endorphins or feel good hormones that generate feelings of safety and comfort. The breathing pattern in Laugher Yoga using the diaphragm helps in alleviating in negative emotions and changing the perception of people. It enables one to cope with reality and helps to face and handle the problem. Laughter makes us feel comfortable in any situation. Past and current embarrassments seem to evaporate. Lack of communication: In anger people tend to jump to conclusions and usually the decisions are clouded with irrationality and lack of reasoning. They are in a heightened emotional state and are unable to come to terms with responses and actions, which invariably are out of sync with normalcy. Laughter Yoga creates a positive energy originating from positive thoughts, emotions and feelings. It uplifts the atmosphere making it conducive to a positive state of mind. Unconditional, thought-free laughter and non-judgmental communication with other members of the laughter group creates a field of spiritual energy resulting in relaxed and uplifted feelings. It is hard to remain in conflict with someone when you are laughing. Power struggles cause us to focus on our own needs and ignore the needs of others. Laughter interrupts the power struggle. Laughter allows us to be more open with each other. Laughter is a pathway to unconditional love. Laughter can always be relied on to help unknot a tense situation.. Brings Emotional Consistency : Apart from aggressive expression, in anger people lose their emotional balance and can resort to inappropriate social behavior leading to tension and awkwardness. Recent research has validated that the body stores emotions, not the mind. The painless cathartic technique of Laughter Yoga helps to access these pent up emotions and release them thus leading the way in easing controls on emotion and often opens the door to crying and deep anger. This is extremely beneficial in mitigating workplace anger that can prove detrimental to productivity and profitability. Laughter often serves as a more acceptable way to approach one's angry feelings. Fear represses so much anger that laughter actually serves the dual purpose of first releasing the fear of anger and then the anger itself. It provides both a physical and psychological release, and it is harmless with no negative effects on the people around us. Laughter yoga is a unique exercise regime fast sweeping the world. It combines laughter exercises with yoga breathing which brings more oxygen to the body and the brain making one feel more energetic and healthy. Safe, easy and scientifically proven, Laughter Yoga is a lot of fun. People do Laughter Yoga because it feels so good – you can feel a difference after your first laughter yoga session. It is a healing force and the biggest changes occur in areas where an individual requires healing the most. Personal benefits may only become obvious as one becomes aware of them over time. Laughter yoga provides an excellent aerobic workout and is the only exercise that impacts positively and directly on your body, mind and emotions. Ten minutes of hearty laughter causes our body to release a cocktail of hormones and neuropeptides that could cost thousands of dollars over the counter. This 'joy cocktail' has profound influence and results in several preventive and therapeutic benefits. Laughter Yoga is a single exercise routine which reduces physical, mental and emotional stress simultaneously and brings an emotional balance in a shortest period of time. Two recent studies confirmed the effectiveness of Laughter Yoga exercises in bringing down the level of the stress hormone cortisol and increasing positive emotions. Regular practice of Laughter Yoga increases longevity and enhances the capacity of the body to fight stress related illnesses. Since it works like a stress-buster, it reduces the risk of psychological and physiological disorders, hypertension and cardiac problems. Laughter Yoga can change the mood state within minutes by releasing "Feel Good' hormones from the brain cells called Endorphins. Your personal. business and social life improves when the mood is good and you're feeling good from within. Just 15 - 20 minutes of laughter Yoga makes you feel cheerful and positive throughout the day. The immune system is the master key to good health and plays an important role in keeping away infections, allergies, even cancer. Laughter Yoga quickly boosts our immune system with fast increases in levels of anti-viral and anti-infection cells and also cells that fight cancer. It may attenuate some stress-related hormones and modify Natural Killer Cells activity (NK cells protect us from cancer), resulting in immunomodulation. Laughter Yoga also increases the levels of immunoglobulin A (IgA) that is the first line of defense which protect us against viral infections like cough and cold. Laughter Yoga is like any other aerobic exercise and provides an excellent cardio and mid-body workout. According to Dr. William Fry just one minute of hearty laughter is equal to 10 minutes of rowing or jogging. This is in respect to cardiopulmonary endurance. The heart rate of 120 can be achieved much faster through laughing than running on the jogging tracks. Lloyd (Journal of General Psychology, 1938) showed that laughter is a combination of deep inhalation and full exhalation, inspiring excellent ventilation, wonderful rest and profound release. It also exercises muscles and works out stomach, abs, back and pelvic groups. It is the only exercise that provides an internal massage of the digestive tract and internal organs such as the liver, spleen, pancreas, kidneys and adrenal glands. Laughter Yoga also causes an ‘internal jogging’ that massages and promotes circulation to the digestive system and the lymphatic systems. It increases circulation to flush the body and organs of waste products leaving one ready to operate at peak performance. Also facial flushing from improved circulation leaves the skin glowing and radiant. Laughter Club members feel fresh throughout the day. The reason for the sense of well-being is that you inhale more oxygen while laughing. Two thirds of the lung capacity comes from abdominal breathing, which means that if you don’t use your abdomen to breathe, approximately 2/3 of the air in your lungs is stale. Laughter Yoga exercises fully flushes the lungs of stale air, thereby bringing more oxygen into the blood stream which helps to maintain a healthy balance and keeping one feeling fresh and energetic. Life today is extremely stressful and sedentary. High pressure, tension, technological onslaught, sleeping late, getting up early to reach the workplace, hardly leave people with any time for physical exercise. Another reason why people don't stick to an exercise routine is that most exercises become boring and non motivating after some time. Laughter Yoga is a fun exercise and easy to follow. It is ideally suited for busy professionals and business people who have very little time to exercise. 20 minutes of laughter and breathing exercises can give similar results as those of going to the gym for one hour. 1.Laughter Yoga makes it easier to cope with life and its challenges. 2.Laughter puts us intensely in the moment. The ability to live life fully and experience the ‘now’ is so important because it is only in the ‘now’ that we can experience joy. 3.Laughter helps us cope with challenges and conflict better because it gives us a better perspective. It shrinks the hurts and upsets of everyday life to a smaller, if not inconsequential size. Issues appear less overwhelming. We are touched by the issue, but not contained by it. If we pay too much attention to our issues, they can become our focus. If we are able to laugh about things they diminish. Even annoying traits of people we interact with suddenly seem less important and become bearable (or even endearing) when we laugh about them. 4.Laughter makes us feel good because it defuses painful emotions like fear, anger and boredom by releasing them. This release can prevent or stop conflicts, ease tension and help us to see and understand others people’s point of view. 5.Laughter makes us generous to a level where we feel better giving than receiving. It lifts us up and makes life worth living. It helps us relax and reduces stress and tension. We enjoy the company of other people more than ever before. 1.When people laugh together in a group it creates a positive group energy originating from positive thoughts, emotions and feelings. 2.It eliminates negative emotions and thoughts. 3.It uplifts the atmosphere in the Laughter Yoga session making it conducive to a positive state of mind. 4.Unconditional, thought-free laughter and non-judgmental communication with other members of the laughter group creates a field of spiritual energy resulting in relaxed and uplifted feelings. 1.Laughter makes us feel safer and more self-confident. It eases our awkwardness. 2.When we make someone laugh they give us the gift of feeling witty. 3.Laughter makes us feel comfortable in any situation. Past and current embarrassments seem to evaporate. 1.It is hard to remain in conflict with someone when you are laughing. Power struggles cause us to focus on our own needs and ignore the needs of others. Laughter interrupts the power struggle. 2.Laughter allows us to be more open with each other. It creates a feeling of safety where issues seem less important. It allows us to express ourselves more clearly because we think more clearly and creatively when we laugh. 3.When we laugh with others we are fun to be with and provide good company. Regular doses of laughter and play take the work out of staying in love with life and other people for a lifetime. 4.Laughing makes us more likeable because it reduces our tendency to gain self-confidence by analyzing and judging others. 5.When we laugh with others, criticism and sarcasm seem to evaporate. We are able to let them be themselves and enjoy them even more for that. 6.Laughter is a pathway to unconditional love. Loving with the mind is conditional. Loving with the heart is unconditional. The bonding qualities of laughter allow us to feel such emotional closeness that we want to be physically and spiritually close as well. ‘Laughter is the best medicine’ has scientifically proven to be the most powerful prescription for wellness. The effectiveness of laughter prompted Dr. Madan Kataria to start laughter clubs and generate more laughter into the lives of people. He developed a new exercise routine called Laughter Yoga which is fast sweeping the world and hundreds and thousands of people have benefited from this concept which combines laughter with yogic breathing or Pranayama. It is the yoga of the millennium as it provides the safest, easiest and the most economical workout for the body and the mind simultaneously. Low self esteem: Laughter Yoga is a powerful tool for personal development and self confidence. It helps to overcome inhibitions and shyness and eases out awkwardness. Laughter and smiling not only helps to communicate with others effectively but also creates a safe environment for others to connect and come closer. This goes a long way in achieving success in business, personal and social life. Humor: Modern stressors and worries overshadow one’s sense of humor – People find it hard to laugh. Laughter Yoga is a simple exercise that does not rely on jokes or humor. Laughter is simulated physically but soon turns into real and contagious laughter with playfulness and eye contact within the group. It also helps to find one’s lost sense of humor. This enables people to laugh off their stress and they are able to exhibit an overall improvement in their well being and performance. Shallow breathing: This is one of the major causal factors in the upkeep of wellness. Negative emotions constrict the supply of oxygen and induce shallow chest breathing. Laughter Yoga exercises are devised to facilitate longer exhalation and deep breathing through the diaphragm. This helps in flushing the lungs of stale residual air and increasing the net supply of oxygen. It also provides an excellent cardio and mid-body workout. The heart rate increase in one minute of hearty laughter can take ten minutes to achieve on exercise machines. Laughter Yoga is an effective remedy to release these pent up feelings through emotional catharsis. By enhancing the free flow of emotions, laughter can dislodge blocked emotions stored in the body. Laughter Yoga helps free flow of emotions and releasing pent up feelings. It defuses painful emotions like fear, anger and boredom thus preventing conflicts, easing tension and helping to us to understand and comprehend the other person’s point of view. Not only does it release these negative emotions, it also cultivates positive emotions like unconditional love, generosity, openness, compression and willingness to help and serve others. In today’s workplace, wellness is a serious issue. With terms like "stress-related-illness" and "burnout" becoming household words, organizations look increasingly for ways to keep their workforce happy, healthy and productive. A recent study conducted confirmed that Laughter Yoga is the best exercise routine to reduse stress. This has proved very beneficial for corporates and companies as it helps to lower the levels of work stress, tension, anxiety to help facilitate peak performance and better productivity and profitability. More and more organizations are adopting the Laughter Yoga method to enhance their business and level of employee performance. Laughter Yoga also increases the blood supply, increases the energy level, relaxes muscles, and works out all major internal systems like the cardiovascular and respiratory systems. Furthermore, researchers report that laughter also affects the immune system. According to Dr. Lee Berk of the Loma Linda School of Public Health in California, laughing makes it grow stronger, with the body’s T-cells, natural killer cells and antibodies all showing signs of increased activity. Laughter Yoga is the easiest and the safest way to good health. Being both preventive and therapeutic, it has is a powerful tool for complete wellness. Fitness encompasses both mental as well as physical health. ‘Being fit’ is now a major campaign worldwide as people realize the importance of a complete well being which helps to accomplish success and peak performance in every field of work. Modern lifestyle, daily stressors and lack of time has rendered life more sedentary. It includes less of exercising, unhealthy food and damaging habits such as drinking, smoking and the use of drugs. This harmful existence exposes people to major lifestyle diseases like hypertension, heart diseases, diabetes, obesity and more. Scientific research has proved that laughter is the best medicine to combat disease, relieve mental stress, and strengthen the immune system. It is the safest, fastest and the easiest exercise for both body and the mind system. A hearty laugh can make a person feel much better and raise the level of fitness. Realizing the effectiveness of laughter, Indian physician Dr. Madan Kataria pioneered the concept of laughter clubs worldwide. He developed Laughter Yoga, a purely physical form of exercise that simulates laughter with playfulness and eye contact within a group. It does not rely on humor, jokes and comedy and is therefore the easiest method to exercise the entire body system --- it’s a lot more fun that a stationery bicycle! Though one knows very little about how laughter impacts the brain, but there’s a fair amount of evidence to suggest that it has wide-ranging effects both psychologically and physiologically. The most obvious effect is on the mood state as laughter has the ability to elevate the mood within seconds. It releases endorphins, natural opiates which ‘kick start’ good feelings and make one feel safe and comfortable. Laughter is also known to keep away negative emotions like anxiety and depression, which tend to weaken the immune system. It relieves stress, a common cause of heart and blood pressure problems. Laughter Yoga is a natural, fun and easy way to move towards wellness in a supportive environment of joy. It enables one to feel better immediately and helps people to make positive choices in life. Besides generating mental fitness by alleviating the negative strains of stress and worry cycles, Laughter is extremely beneficial for the body system. Its therapeutic power has the ability to prevent and at times cure many diseases. It improves lung capacity and oxygen levels in the blood and thus reducing complaints of asthma, bronchitis and other respiratory complications. The increased level of endorphins reduces the frequency and intensity of arthritic pain and muscular spasms. It is also known to help with insomnia, migraines, allergies, and ulcers. The secret of Laughter Yoga is that our bodies are hardwired with powerful natural reactions to extended hearty laughter releasing a cocktail of healthful hormones and chemicals. One minute of mirthful laugher is the equivalent to a 10 minute cardiac workout on a rowing machine. Laughter Yoga drastically reduces belly fat, which is difficult to shed even with the most intense exercise regime. Just a few laughs have the capacity to exercise the mid body. An hour of laughter can shed as many as 500 calories – well, if that isn’t great to keep one slim and pretty! Laughter exercises combined with deep yogic breathing is an excellent way to fully oxygenate blood all major organs. Diaphragmatic breathing in Laughter Yoga helps to flush the lungs of stale residual air and remove the toxic wastes from the body, thus leaving one feeling fresh, energized and fit. Exercise has never been so much fun. Laughter Yoga provides a real aerobic workout for the diaphragm and the abdominal, intercostal, respiratory and facial muscles – that helps to lose wrinkles. Laughter Yoga switches on all that stress switches off. It rejuvenates the circulation in the lymphatic system and boosts the immune system. It increases the production of T cells, B cells, immunoglobulins and NK cells – all important in fighting viral infection, sickness and cancer. The digestive and sexual systems, which are also turned off by stress, are also turned on and boosted by laughing. Laughter leaves you with a rosy glow, the result of large amounts of oxygen absorbed into your bloodstream and major organs. While exercise may leave you tired, Laughter Yoga leaves you bursting with energy and ready for anything. Dr. Kataria has introduced many yogic activities to suits all age groups. With meditation yoga one can relax the mind, body and soul. Not only does laughter burn calories but it’s healthy too. While you laugh, your body releases hormones and chemicals into the bloodstream which reinstate a positive state of mind and are known to cause a’ runners high’ It leaves one feeling great in the body and the mind. One is ready to take control of life and carry through decisions more easily. This even enables one to stick to other exercise regime and remain fit and healthy. Breathing is fundamental to good health. It is responsible for almost all the oxygen and energy supply. Scientific studies have shown a direct connect between breathing and the state of mind. Incorrect breathing can cause several physical and mental complications such as asthma, allergies, hypertension, depression, anxiety, exhaustion, headaches, heart problems, sleep trouble, obesity, stress, lack of vision and clarity plus many lesser known but equally harmful conditions. All diseases are caused or worsened by poor breathing. According to Nobel Laureate Dr. Otto Warburg, “Deep breathing techniques increase oxygen to the cells and are the most important factors in living a disease-free and energetic life. When cells get enough oxygen, cancer will not and cannot occur." Laughter is the fastest and easiest method of regulating the breathing pattern and increasing the net supply of oxygen by exhaling longer and flushing the lungs. Dr. Madan Kataria the founder of laughter clubs worldwide effectively combined the art of laughing with deep yogic breathing. His new exercise routine, Laughter Yoga has benefited hundreds and thousands of people who have reported an enhanced sense of well being. Yoga breathing exercises or Pranayama recharges the body and controls the mental state by regulating the flow of Prana - the life force. This generates a sense of calmness and makes one more focused. It also increases the energy levels. Lack of oxygen: Oxygen plays an important role in the circulatory and respiratory systems. It purifies the blood by removing the toxic wastes in the blood stream. Irregular breathing restricts this process and leads to accumulation of toxins, which in turn affects the digestive tract leaving tissues and organs undernourished. Laughter Yoga encompasses the principles of deep diaphragmatic breathing which is the easiest way to counter unhealthy effects of stress. Stress: When under stress or acute anxiety and depression, the oxygen level decreases and breathing becomes faster, shallow and irregular. Sometimes people hold their breath under stress which leads to accumulation of carbon dioxide in the blood. A combination of laughter and breathing exercises increases the net supply of oxygen in the blood and maintains a physiological balance of oxygen and carbon dioxide. It Improves detoxification through increased exchange of carbon dioxide and oxygen. Anxiety and depression: The rigors of daily work, family, or financial pressures take its toll on the breathing pattern. Using only the fraction of the lungs results in lack of oxygen and may lead to different complications. Heart diseases, sleep disorders, and fatigue are some of the effects of oxygen starvation. Laughter Yoga is a complete workout for optimum functionality. It helps in alleviating physical, mental and emotional stress. Breathing is the only function of the autonomic nervous system that can be consciously regulated or changed. It encourages deep diaphragmatic breathing which stimulates the para sympathetic nervous system. This is the cooling branch of the autonomic nervous system and is the opposite of the sympathetic stress arousal system. This helps in relaxing the aroused state of a person and provides a sense of calmness. Accumulation of stale air: To keep the lungs healthy and provide enough oxygen for the body to perform at peak levels, one needs to take deeper breaths and flush the stale air from the lungs. A normal inhalation fills just 25% (tidal volume) of the total lung capacity. The remaining 75% (residual volume) remains filled with old stale air. Respiration becomes even shallower when compounded by stress. Hearty extended laughter helps to provide longer exhalation, thus ridding the lungs of residual air which is then replaced by fresh air containing a higher level of oxygen. The secret to breathing deeper is to exhale more fully. Sedentary lifestyle: Lack of regular exercise and a physical fitness routine is a cause of many problems which may cause shortness of breath, raised cholesterol and blood pressure, immobility and stiffness. The more physically active one is, the lower the risk for heart disease. Laughter Yoga is fun and a simple form of exercise that provides a good workout. Twenty minutes of laughter is equivalent to 10 minutes on an exercise machine, but this gentle aerobic workout is a lot more fun that treadmills and exercise bikes. Blood and all major organs are fully oxygenated leaving one bursting with energy. Laughter Yoga using the yogic technique of breathing promotes proper breathing. It brings more oxygen to the blood and to the brain; it controls Prana and re-energizes the body. Most laughter and yogic breathing exercises are intended to stimulate the movement of the diaphragm and abdominal muscles that help activate the parasympathetic system. The stress arousal sympathetic system can be turned off simply by learning to move the diaphragm. While breathing is a function most people take for granted, rarely is it practiced in a proper fashion. The purpose of Laughter Yoga technique is to develop a good, relaxing breathing method. It may be practiced anytime, especially during stressful situations to provide a sense of wellness. Modern day stressors, worries and lifestyle changes have increased the rate of heart diseases which are a major cause of death and despair. Even as doctors and patients try to minimize the risk factors, scientific studies have proved that laughter is the simplest answer to a healthy heart. An extended hearty laughter as in Laughter Yoga , the unique exercise routine, is one of the fastest ways to accelerate heart rate and provides an excellent cardiovascular workout and heart massage. Dr. Michael Miller, a leading heart researcher and Associate Professor of Medicine, Epidemiology and Preventive Medicine Director, Center for Preventive Cardiology at University of Maryland Medical Center discovered that laughter expands the blood vessels promoting circulation and reducing blood pressure. High blood pressure: Known as the silent killer, it is one of the mein causes for heart attacks and strokes. A good, hearty laugh normalizes blood pressure and stabilizes the pulse and the heart rate. Scientific studies have proved that a few days of Laughter Yoga exercises and deep breathing lowers BP thus reducing the risk of a heart attack. It improves circulation and increases the supply of oxygen. High blood cholesterol: Having too much cholesterol in the blood is not a disease in itself, but can lead to the constriction of the arteries. Regular Laughter Yoga can expand the blood vessels and open the arteries. It allows the blood to flow freely to all parts of the body, thus preventing a cardiac failure. Physical inactivity: Lack of exercise and sedentary lifestyle is also a major risk factor for heart disease. In fact, an inactive lifestyle contributes to higher blood cholesterol and triglyceride levels, lower HDL levels and increases obesity. Studies show that people who get regular aerobic exercise have better cardiovascular fitness, which decreases their risk of heart attack. The American Heart Association recommends 30 to 60 minutes of aerobic exercise three to four times a week to promote cardiovascular fitness. Just 20 minutes of Laughter Yoga is as good as an hour of aerobic exercises. It is a physical exercise - easy to do, safe and economical. It provides a fast and powerful no-sweat cardiovascular workout. Anyone can do it and feel the difference just after the first session. It loosens the body muscles and increases mobility. In fact, it is extremely beneficial for seniors who have restricted movement due to age or illness. Stress and anxiety: Stress is the number one killer today and most of the illnesses are stress related. When under a state of stress, the biochemical changes alter the breathing pattern making it shallow and irregular. Laughter Yoga can reduce stress levels by 75% or more in just one session. It minimizes stress, reduces blood pressure and lifts depression. It also boost he immune system and increases circulation for better air flow to the body and the brain. Depression: is the number one disease in the world. It generates extreme negative thoughts which can even get suicidal. Diabetes: is also a major cause for heart diseases. Recent scientific study proves that Laughter Yoga has a profound impact on diabetes. The study confirmed a marked drop in the sugar levels after few days of hearty extended laughter. blood vessels. When in a happy state, the blood vessels seem to dilate and increase the blood flow to the heart, whereas there is a noticeable vasoconstriction or narrowing of the blood vessels when a person is under stress. It is definitely linked to the healthy function of blood vessels. It appears to cause the tissue that forms the inner lining of blood vessels, the endothelium, to dilate or expand in accordance with emotions. Scientific research shows that laughter can help to resolve many major workplace issues, but until now there has been no reliable and effective system to deliver laughter. Humor was the only tool available, and it is not reliable and seldom leads to continuous hearty laughter. Laughter Yoga is a breakthrough laughter delivery system that can enable a person to laugh continuously for 15 to 20 minutes with short breaks of yogic breathing. With new research on laughter, the business world is beginning to consider laughter seriously as a tool to improve workplace performance. However, business people are cost conscious and analytical and may wait for further scientific evidence of Laughter Yoga methods to emerge before adopting it widely. Occupational stress is the most rapidly growing global phenomenon. People are succumbing to work pressure and its damaging effects are being felt in almost all the countries and among all levels of the workforce. This rise in unhealthy levels of stress leads a broad range of pathological consequences ranging from chronic fatigue to depression, insomnia, anxiety, migraine, emotional upsets, allergies, hypertension, heart disease, peptic ulcers and stomach disorders. It can also alter immune functions, which may in turn lead to the development of cancer. Taken together, these disorders are responsible for a majority of disease, death and disability. Physical stress: This results from working beyond one's physical capacity. Working continuously without sufficient rest or recharge makes one physically tired and exhausted. An extended hearty laughter is the safest and the easiest exercise which massages the entire body, oxygenates the blood and other organs leaving one bursting with energy. Blood pressure and pulse rates decrease and there is an increase in creative thinking, productivity and memory. Mental stress: This stems largely from heavy workloads with tight deadlines, from fear of losing one’s job or pushing too hard to fulfill basic needs. Competing with others or competing with yourself to improve your performance also leads to mental stress. Laugher has the ability to reduce stress by reducing stress hormones. It also boosts self confidence and communication skills that enables one to peak performance at work. Deep breathing exercises eases physical pain and reduces mental tension. Emotional stress: This is deep-rooted and caused by bad relationships at home or at the workplace. Even highly talented and skilled employees cannot perform well if they are emotionally disturbed. Emotional problems at home reflect at work and vice versa. Extended hearty laughter helps to develop emotional expression through physical playfulness and a playful mental attitude. This physical playfulness helps to shed these masks and enables the free expression of emotions without fear. Laughter Yoga provides a simple, painless and effective release mechanism to help rid the subconscious mind of pent-up emotions through catharsis during intense laughter. Such release helps builds performance and improves one’s emotional intelligence and communication skills. Decline in team work: Competitiveness leads to an aggressive work atmosphere in which team work suffers. People develop a selfish and self promoting attitude. A hearty laughter session creates a positive work environment. People become better as they drop the ‘I’ for a ‘We’. They learn to compliment and practice other values based supportive social behavior that helps in good team building and ensures better productivity. Insomnia: Sleep is nature's best mechanism to recharge so that one can work ably day after day. But, long hours of work coupled with intense work pressure and tensions take its toll on one’s sleep pattern, which is a cause of many heath related problems. A good hearty laughter helps improve the sleep pattern and relaxes both the body and the mind. Stagnation and boredom: The level of job satisfaction and fulfillment falls, leaving a person frustrated and tense. This is a major cause for job hopping as people feel they might have made a wrong choice of a career. They start striving towards a new set of goals which may be unrealistic. This further leads to a dip in performance and self esteem thus keeping them away from happiness. Extended hearty laughter develops playfulness and new insights that helps one to revive lost creativity. It also helps one to find the source of joy and happiness within, irrespective of the turmoil in business and personal life. It helps people to develop emotional intelligence to connect with others and strengthen their social life. Anxiety and depression: The business people are more prone to anxiety attacks and depression as they are highly stressed. Laughter exercises and deep breathing is a great way to eliminate the physical and the mental symptoms of depression and reduce anxiety. Deep diaphragmatic breathing helps to flush the lungs of stale residual air replacing it with rich oxygenated air. Laughter Yoga has the power to raise the spirit and change the mood instantaneously. It releases natural opiates or ‘feel good’ hormones called endorphins which ‘kick start’ good feelings and also alleviate pain. Physical illness: lack of exercise and mental tensions and stressful breathing patterns lead to many physical illnesses. Extended laughter practice reduces irritability, insomnia, anxiety, depression, allergic disorders, asthma, bronchitis, tension and pains and aches due to arthritis. Boosts the immune system which is the key to good health - reduces absenteeism. It can prevent cardiac diseases as it is the fastest and the best workout regime which benefits both the body and the mind. Laughter is equivalent to aerobic exercise in terms of cardio-pulmonary endurance. According Dr William Fry, 10 minutes o laughter is equivalent to 30 minutes on a rowing machine. Adjusting to the workplace culture, whether in a new company or not, can be intensely stressful. Adapting to the various aspects of workplace culture such as communication patterns, hierarchy, dress code if any, workspace and most importantly working and behavioral patterns of the boss as well as the co-workers, can be a lesson of life. Maladjustment to workplace cultures may lead to subtle conflicts with colleagues or even with superiors. In many cases office politics or gossips can be major stress inducers. A hearty laughter changes one’s perspective about things which is an effective way of adjusting to various situations. It establishes a better bond with colleagues as it enhances positive thinking and eliminates a negative attitude. As companies realize that they can increase their productivity by protecting the health of their employees and by counterbalancing the stress related to the job, they are becoming more proactive in incorporating Laughter Yoga sessions in their work schedules to generate a more conducive environment to boost both the company and individual potential. Laughter Yoga was first introduced as an experiment in a Mumbai company which made electrical products --- the staff of 25-30 (including the owner and managers) started their workday with a laughter session conducted by the owner and his partner. Three years after initiating this practice the business has grown to almost three times it size, a success attributed by the owner largely to the Laughter Yoga. 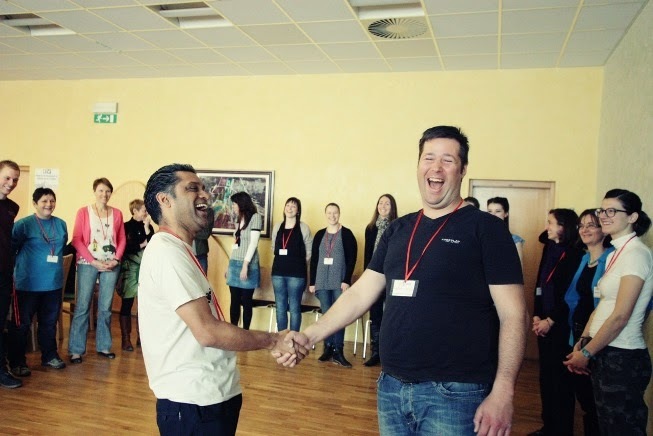 An IT company in Copenhagen, Denmark started Laughter Yoga sessions with their staff of 8-10 employees. They continued for over a year, during which they reported an increase in their sales of more than 40%, achieved in an extremely competitive market. They measured staff stress levels using biofeedback equipment (heart rate, breathing rate and carbon dioxide levels in the breath) and they found a remarkable 75% decrease in stress levels after the sessions. A timeshare sales company in Hawaii, USA asked Dr. Kataria to run a Laughter Yoga session for their entire 80 person sales team. That day they reported the highest sales of the year, double the target figures. A study completed in 2007 may help convince the business world of the potential of Laughter Yoga for business. It used a series of Laughter Yoga sessions (rather than funny movies or humor) to generate laughter in the workplace and measured stress and emotional variables before and after the course of the study. In December 2006, Laughter Yoga International commissioned a scientific research project involving 200 IT professionals in Bangalore, India, to study the effects of Laughter Yoga on their stress levels. Seven Laughter Yoga sessions were administered to half the group over an 18 day period, with physiological, immunological and psychological tests performed on each person before and after the Laughter Yoga sessions. The study was undertaken by one of India’s leading scientific research organizations. The results of the were extremely positive. In the Laughter Yoga group there was a significant drop in heart rate, blood pressure dropped significantly, cortisol levels were significantly reduced, positive emotions increased by 17% and negative emotions dropped by 27%, perceived stress dropped significantly, and Alexithymia dropped by almost 9%, indicating a significant improvement in emotional intelligence. Living constantly in a stress and worry cycle weakens the body resistance and results in many digestive problems, which encompass everything from simple indigestion to hemorrhoids to colon cancer. It results in more time lost—at work, school, and play—than any other health problem. These problems also appear to be occurring with much more frequency and are cropping up more and more at an early age as children and adults likewise succumb to daily stressors of life. Laughter Yoga is a unique exercise routine that blends yogic breathing with laughter to provide an excellent internal massage, flush the lungs of stale residual air, increase the oxygen levels and boosts the immune system. An instant stress buster, it helps to cope with challenges and negates the ill effects of a worries and tensions. Laughter releases chemicals like neuropeptides that improve health and have antioxidant properties. Apart from this, laughter is a good exercise. It gives exercise to the diaphragm and various muscles. It is also responsible for the secretion of certain hormones good for health. Irritable bowel syndrome, or IBS, is a common complaint. Also called spastic colon, spastic bowel, mucous colitis, spastic colitis, colitis, intestinal neurosis, and functional bowel disease includes symptoms like bloating, gas, diarrhoea, constipation, abdominal pain and spasms, and nausea. The pain is often triggered by irregular eating due to stressful conditions. Laughter Yoga provides an internal jogging that balances the irregularities arising due to stress eating. With emphasis on deep diaphragmatic breathing, it fully oxygenates the body and gets rid of waste matter and toxins. It strengthens the immune system, thus reducing the risk of infections and disease and helps boosts anti bodies that combat the symptoms. Although medical science has proved that emotional stress is no longer the causal factor of ulcers, many people who are experiencing emotional stress often report increased pain of existing ulcers. It is important that one takes steps to reduce stress levels and the easiest way is through regular practice of Laughter Yoga. It is an exercise that releases chemicals called endorphins which not only relieve stress but also cause a reduction in cortisol levels. Laughter Yoga not only relieves stress, it strengthens muscles and helps you concentrate on breathing and relaxation. Diverticula are pea-shaped pouches that form in the colon wall. The underlying cause of diverticula is constipation: the pressure that straining produces causes pouches to form at weak points in the colon. Diverticulosis results in spasms and pain and can result in pain and fever. The up-and-down movement of the diaphragm in Laughter Yoga affects the internal organs much like wholesome exercise. As a result they function better, circulation improves and wastes are discharged morereadily from the body. It also improves digestion as it increases the flow of bile and improves the functioning of the liver. The physiological effects of Laughter Yoga on the body are amazing. It provides a safety valve that shuts off the flow of stress hormones and basically brings balance to all the components of the immune system. Laughter Yoga can be a total body workout! Studies have revealed that it helps improve digestion and eliminates painful symptoms. Before Laughter Yoga came into existence in 1995, humor therapy was very popular in hospitals as a tool for healing sick patients. The core philosophy of Laughter Yoga is - laugh for no reason. Many people think that we are against humor. This is not true. In this article, we would like to clarify the difference between laughter and humor. Many people believe that one must have a good sense of humor in order to laugh. They believe that sense of humor is all about telling jokes, being funny and witty. The definition of sense of humor is the ability to perceive, relate and experience a given situation in a funny and amusing way. In practice, not many people identify with a sense of humor. This is because it is a mental and intellectual phenomenon and varies from person to person; culture to culture. At times, humor can be negative and can hurt someone, which is why it is very tricky to use humor in order to laugh. As a matter of fact, it sis not something we are born with. We acquire this skill as our mental abilities develop. But, what we are born with is the tremendous potential to laugh. A child can laugh 300 to 400 times in a day, without using humor. They laugh all the time while playing and their laughter comes from the body, not from the mind. In fact, children can't even tell jokes properly; they start laughing much before the punch line. As the child starts growing, it is exposed to more and more information and laughter soon gets lost amidst conscious realities like self control, appropriate behavior, responsibility, fear and insecurity. One gets conditioned to social correctness and the childlike ability to laugh and play is misplaced. To develop sense of humor one needs to remove the layers of inhibitions and mental blocks created by self, parents and society. In Laughter Yoga clubs we use childlike playfulness and several warming up exercises to move the body which helps to remove inhibition and shyness. Once these barriers are removed, the infinite potential to laugh unfolds automatically and sense of humor starts flowing. Teaching a person who has lots of inhibition to develop a sense of humor is like flushing a drain blocked with rubble. Once you remove the rubble, water starts to flow. This is exactly what happens in Laughter Yoga clubs. It’s for this reason we are successful in making tens of thousands of people laugh in many countries all over the world. People, who never cracked jokes, are now enjoying humor better than ever before. They are more playful and creative and see life in a much lighter way. Therefore, it is not always a sense of humor that leads to laughter, the reverse is also true. Laughter and humor make one unity and we cannot separate them. One can use humor in order to laugh or laugh in order to develop sense of humor. Therefore, if you don't have a sense of humor don't worry you have to laugh yourself silly, laugh for no reason, play like a child and you will see the sense of humor flowing. Fear and anxiety are bodily responses to a perceived threat or danger. They are triggered by a combination of biochemical changes in the body, past history and memory, and social circumstances. Both fear and anxiety are debilitating forces on the body and the mind. A person loses all sense of rationality and begins to gradually deteriorate. Because these feelings are frequently intense and distressing, it is quite normal to want to avoid them. However, ignoring or trying to eliminate anxieties is not the solution. Laughter Yoga is a powerful tool with many reporting reduced stress levels and increased ability to handle fear and anxiety. The routine which combines laughter exercises with deep yogic breathing has the ability to transcend worries and change the mood state instantaneously. It releases endorphins, natural opiate, that kick starts good feelings and equips one to deal with pain. The autonomic nervous system (ANS): The nervous system is hard-wired to respond to dangers or threats. These responses are not subject to conscious control. The most familiar reaction of this type is the fight-or-flight reaction to a life-threatening situation. When people have fight-or-flight reactions, the level of stress hormones in their blood rises. They become more alert and attentive, their eyes dilate, their heartbeats increase, their breathing rates increase, and their digestion slows down, making more energy available to the muscles. An extended hearty laughter counters the reactions of the ANS and activates the para sympathetic nervous system, which is the opposite of the ANS and is the cooling branch. Laughter Yoga stabilizes the heartbeat and the blood pressure. Diseases and disorders: Anxiety can sometimes be a symptom of certain medical conditions. For example, the irregular functioning of the thyroid gland, respiratory distress syndrome and others. Regular practice of Laughter Yoga with deep breathing techniques boosts the Immune system. It also reduces the stress hormones which affect the mood state and put the person in a postive state of mind. Childhood development and anxiety: Anxiety in adult life is at times a residue of childhood memories of dependency. This early experience of helplessness underlies the most common anxieties of adult life, including fear of powerlessness and fear of not being loved. A good hearty laughter is an effective tool for painless emotional catharsis. Laughter Yoga is a physical method of releasing pent up feelings and suppressed emotions by accentuating diaphragmatic movement and changing the breathing pattern. With laughter exercises and deep breathing one can let go of all disturbing emotions embedded in the sub conscious mind. Prolonged hearty laughter provides a painful and non violent way to release fear and anxiety and improves mental health. It draws one out from dwelling in the past into the present. It makes it easier to handle life and its challenges, because it puts us strongly “in the moment”, and it’s when we are in the moment, that we are not aware of our problems. It’s as if we literally drop them. It breaks the worry cycle and releases one from the ‘worrisome’ experiences. Social stress: Anxiety often has a social dimension. People frequently report feelings of high anxiety when they anticipate or fear the loss of social approval or love. Sadly, for many people modern life does not include a network of caring and sharing relationships --- the age-old extended family culture and its group bonding is breaking down. The lack of two-way emotional dialogue and relationship leaves us without emotional grounding, often resulting in feelings of isolation and loneliness. Group laughter in a club provides a rich social network of people who care about one another, and perhaps even more importantly, a way of getting to know new people who we care about. This provides a sense of emotional security which resists stress and promotes excellence in all other areas of life. Occupational stress: This is a rapidly growing worldwide phenomenon. Job dissatisfaction, frustration, bad relationships at the workplace all lead to enormous mental tension that can become a cause of major anxiety. Laughter Yoga develops joyfulness which is the unconditional commitment to have fun despite all of the possible problems that we are faced with in life. Joyfulness is primarily a physical phenomenon. “Fake it till you make it”. The decision may come from the brain, but the process is physical. Because the body and the mind have a two way link, doing good changes the body chemistry and fosters a healthier state of being. To remain healthy, one should have a regular exercise routine besides dietary control, but in this high pressure, high tension world it is a big challenge to stick to either of them. Lack of time is a major issue when it comes to exercising and also because most exercises are a lot of hard work, and tend to get boring and monotonous. As a result, people abandon the exercise programs. But, Laughter Yoga offers a powerful exercise program with a difference. It is less time consuming, cost effective, scientifically proven and is a lot of fun, thereby making it easy for anyone. It is ideally suited for seniors, as it is a physical phenomenon and does not require cognitive humor. They find it very simple to do Laughter Exercises, as it is not strenuous and can be done in spite of age-related problems like weak joints and muscles etc. It is also very effective for business people, children, physically disabled and bedridden, all of whom have some constraints in following traditional exercise routines. Reduces Stress levels quickly: In the year 2006 the research study among IT professionals in Bangalore India showed decrease in Stress hormones in saliva by practicing Laughter Yoga exercises. Blood pressure and pulse rate drops and circulation improves. Improves Oxygen supply: Laughter Yoga Exercises flush stale air from the lungs. It helps to fill the system with oxygen which makes us healthy and energetic. Performance: Laughter Yoga study showed that laughter significantly improves work effectiveness and functionality of the staff. Another study conducted in the US also corroborates the efficacy of laughter. 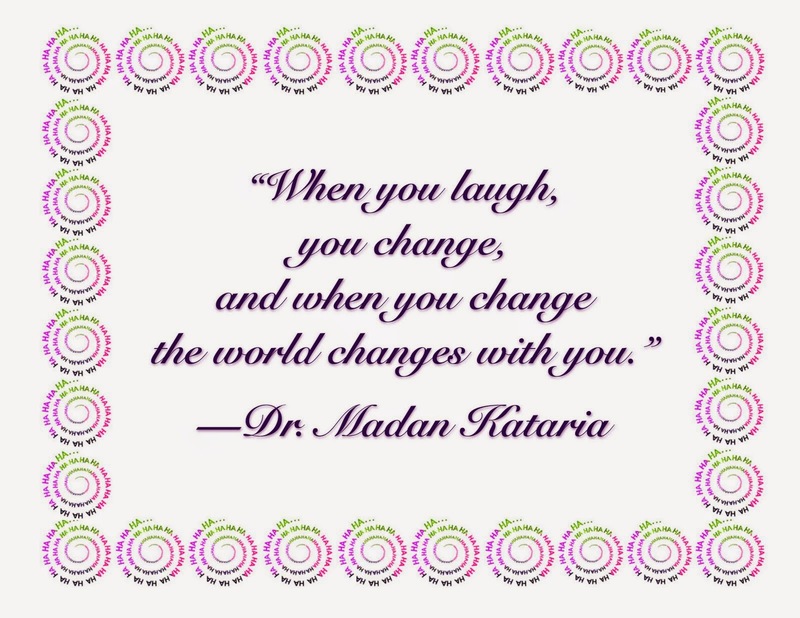 Both studies used unconditional laughter generated by Dr. Kataria’s techniques in Group Laughter sessions. With these findings the business world stands to gain tremendously as work, and productivity can be enhanced to the maximum. Laughter sessions can have a profound impact on business performance, even making companies more profitable. Companies in different countries have reported a happier workplace, increased motivation, better communication, and increase in sales and creativity and better teamwork. It is the ultimate answer to business woes besides being the best exercise program to include in ones daily life for personal, social and health benefits. Grief is a natural reaction when one suffers a loss. It is the emotional distress one feels at the loss of someone you love or something you cherished. Death of a loved one often causes the most intense grief. But, other causes like a broken relationship, retirement, loss of health, moving away from home, loss of a job or financial stability etc. can also cause grief and pain. When people grieve, they are overwhelmed with all kinds of difficult and complex emotions, such as guilt, shock and anger. There is a feeling of helplessness and frustration which seems frightening momentarily, but is a normal reaction. It is important that people accept them as a natural process of healing and find ways to cope with their pain. It is not easy to overcome grief. In fact, the single most important factor in healing from loss is having the support of family and friends. It is essential that people talk and express their feelings. Sharing and connecting with people during trying times makes the burden of grief much easier. This is where Laughter Yoga helps as it is the most effective method to heal emotional distress, pain and mental anguish. It is a great connector of people and helps them to express emotions freely, thereby reducing their suffering. Though there are various methods people try to overcome their loss; they look for support groups and social organizations, but Laughter Yoga is a single powerful exercise routine that helps relieve mental, physical and emotional stress simultaneously. It is difficult to laugh while grieving, but Laughter Yoga makes it easier as it is a physical phenomenon, not a mental process. Laughter exercises coupled with deep breathing changes the physiology, thereby changing the mood state and helping a person to view the situation differently. It is a cathartic exercise which helps release pent up feelings and makes people emotionally balanced. Extreme pain and anguish at the loss of someone or something forces people to withdraw into being a recluse. Feelings of isolation and loneliness restrict social interaction and relationships. Social laughter clubs are idyllic to recover from one’s personal sense of loss and pain as they generate a caring and sharing atmosphere and are a catalyst for bonding and creating friendships. Group dynamics of laughter facilitates an easy outflow of stress and depression thereby promoting healing and reducing the sense of grief. They have the power to reach beyond the healing of laughter. In effect, relationships with people with whom we laugh regularly can become very strong and can prove to be the best support factor. Nethra Ramchandran, an elderly laughter club member in Bangalore, was shattered when her husband of more than forty years passed away leaving her alone in the world. She had married early and never worked. Feeling her life was over she went into a black depression, refusing food and not leaving her bed. Fellow laughter club members arranged medical care and medication, and took turns staying with her throughout the day, bringing her treats and cajoling her to eat, but most importantly being there for her and providing emotional support. After three months she recovered. Convinced that her life would have ended without laughter club, she started a new laughter club in a nearby school where she runs daily laughter sessions for students to this day. Similarly, Pavitra Singh, member of Bandra Joggers laughter club, Mumbai, was devastated when his uninsured shop burned down. He was ruined; the fruit of twenty-five years of hard work vanished, leaving him in debt with no means of supporting himself and his family. Members of his laughter club pooled together and raised money to rebuild his shop and provide new stock, rebuilding the life of someone they held dear to themselves. In the last two decades, extensive research all over the world has shown that Laughter has a positive impact on various systems of the human body. Laughter helps to unwind the harmful effects of stress, the number one killer in the world, today. Stress causes the most number of illnesses in today’s world – heart disease, high blood pressure, depression, anxiety, frequent cough and cold, insomnia, allergies, asthma, menstrual troubles, peptic ulcer, fibromyalgia, tension headaches. Stomach upsets, and even cancer, are somewhat related to stress. It has been scientifically shown that laughter lowers the blood pressure, relaxes muscles, improves blood circulation, increases oxygen level in the body, elevates mood, brings hope, enhances communication and most importantly, it boosts the immune System, the master key for maintaining good health. Laughter is one of the finest, most economical and easy-to-practice anti-stress measures. Laughter is one of the best muscle-relaxants. Laughter expands blood vessels, and sends more blood to the extremities and muscles all over the body. A good bout of Laughter also reduces the levels of stress hormones Epineprine and Cortisol. Laughter can be said to be a form of dynamic meditation or relaxation. Hans Selye described laughter as a form of Eustress. This means that it is a positive, life-enhancing type of stress. Laughter has a built-in balancing mechanism that encourages the two-step action of stimulation and relaxation, due to the release of the chemicals – Adrenaline, and Noradrenaline. This produces a feeling of wellbeing, by relieving the minor stresses and strains of daily life. Laughter reduces anxiety, tension and depression. Thus, laughter helps in mitigating several serious diseases such as hypertension, heart disease, diabetes, in which anxiety and tension are predisposing factors. Kay Herth (American Journal of Nursing 1984) has documented reduction of Hypertension after Laughter Therapy. Many of our members have reaped the beneficial effects of laughter in reducing hypertension, heart disease, diabetes, anxiety, insomnia, etc. Now modern medicine is proving this with research that has shown that Smiling and Laughing cause physiological changes in the human body. After a bout of Laughter, it is observed that there is a reduction in Cortisol, a chemical that indicates Stress in the body, and an increase in mood elevating Endorphins. Laughter is also thought to improve Circulation, stimulate the Nervous System, heighten the immune system, and make the heart stronger. Laughing releases the tension of pent-up feelings and can help us keep things in perspective. Laughter is one of the body's safety valves, a counter balance to tension. When we release that tension, the elevated levels of the body's stress hormones drop back to normal, thus allowing our Immune Systems to function more effectively. Dr. Robert Holden, tells us in his book "Living Wonderfully": "Social psychology research shows that children laugh on average 150 times a day; adults laugh on average only six times a day.During an average day, a child will smile 400 times; an adult will smile no more than 15 times." When we grew up, somehow we lost over a hundred laughs and hundreds of smiles a day. By learning to smile and laugh again, more easily and more often, we could make profound and positive effects to our health and well being. Chronic stress lasts for a long time or occurs frequently. It is potentially damaging. Family problems, a difficult class at school, a schedule that is too busy, or a long illness can cause Chronic Stress. Nowadays, chronic stress is one of the primary causes of most of diseases. There are many ways to control chronic stress, like exercise, proper diet, time management, adequate rest, and relaxing hobbies. Laughter Yoga is the most economical, less time consuming, fun exercise which is easy to learn. Anyone can do it. All you need is little time and commitment. Gelotology is the study of humor and laughter, and its effects on the human body. It is also the psychological and physiological study of Laughter. The word geloto is derived from the Greek gelos and it means Laugh, Laughter, laughing. The word Gelotology is often misspelled as Gelatology. There is well documented and ongoing research in this field of study. • Inability to handle your own emotions or other people’s emotions. • This leads to conflict, disharmony and bad relationships either at home or at work. • This emotional imbalance affects your happiness and work performance. • Even if you are highly skilled or talented, you cannot perform to your maximum levels if you are emotionally imbalanced. a) Releasing pent up emotions (catharsis): As children, we express our emotions fully but in the process of growing up, we keep suppressing our feelings and emotions in order to avoid any conflict with others. These blocked emotions perpetually make us feel like pressure cookers. Laughter yoga works like a safety valve to release these emotions in a non-violent way without affecting other people. b) Laughter Yoga helps to develop playful behaviour which is the key to express your feelings and emotions and develop emotional intelligence. The number of social interactions, a person has each day, is a direct indicator of his health, wellness and long life. As children we play a lot and that helps to develop social skills and ability to express our emotions, but as we grow up our playfulness gets restricted due to environmental influences and seriousness of life. We are surrounded by negativity almost every day of our lives. Depression and tension have become the order of the day. It becomes a challenge to live life happily and to keep a positive state of mind. We are caught up in many depressing and stressful situations that influence our mindset and affect our behaviour and performance. Laughter and breathing exercises can change your mood within minutes by releasing neurotransmitters from your brain cells called Endorphins which are known as “Feel good hormones”. They bring good feelings in our bodies and once you are feeling good within, you can work and perform to your maximum. • Your mood is the most important factor in determining the way you perceive people and happenings in the outside world and how you are going to react to them. • If your mood is good, it will entirely change your attitude to the outer world. • It will bring hope and optimism in whatever you do in your business, personal and social life. • With good mood and positive mental attitude you can handle negative people and situations in a much better way. It has been scientifically proven that Laughter Yoga keeps the blood sugar levels regulated and prevents the progression of diabetes. It lowers blood pressure, relaxes muscles, improves blood circulation, increases oxygen level in the body, elevates mood, brings hope, enhances communication and most notably it boosts the immune system, the master key to good health. Increased blood sugar can cause major complications for diabetics. If glucose is not kept in check, diabetics are more at risk for heart disease, kidney disease, and blindness. Type 2 diabetes occurs when the body fails to produce enough insulin to control the body's glucose levels, while in type 1, the body stops producing insulin or produces too little to regulate blood sugar. Keiko Hayashi, of the University of Tsukuba, Japan in his study on type 2 diabetes says, “A chuckle may help the body process blood sugar.” He found that laughter lowered blood sugar levels after a meal. Though he cannot yet explain the laughter-glucose connection, he says that laughter affects the neuroendocrine system, which monitors the body's glucose levels. Sedentary lifestyle: Physical inactivity and lack of exercise is related to obesity and rise in sugar levels. Laughter is an exercise which acts on the body and the mind. It has the ability to improve mobility and flexibility. It provides an effective cardio workout and accelerates heart rate faster than other forms of exercise. It provides an effective mid-body and also an aerobic workout that leaves one feeling energized. Obesity: One of the functions of insulin is to stimulate hunger. Therefore, higher insulin levels lead to increased hunger and eating. Stress and compulsive eating disorders also add to excessive weight gain and heightened sugar levels. Extended hearty laughter has been proved as a tool to regulate blood sugar as it massages the endocrine glands responsible for glucose production. Mental status: Agitation, unexplained irritability, inattention, extreme lethargy, or confusion can all increase sugar levels. Laughter Yoga is the only exercise that impacts positively and directly on body, mind and emotions. Ten minutes of hearty laughter causes the body to release a cocktail of hormones and neuropeptides that could cost thousands of dollars over the counter. This ‘laughter cocktail’ has profound influences. High blood pressure: Any kind of stress and immobility can lead to hypertension. Laughter typically reduces high blood pressure and helps to bring about a sense of well being. As an exercise, laughter helps to alleviate physical symptoms of irritability, anger and agitation. A hearty laughter can get rid of these emotions and bring a person to normalcy thereby reducing blood sugar levels. Scientific studies have proved that respiratory allergies like asthma and bronchitis are caused not only by physical allergens but also by a negative state of mind. We are subjected to constant (or chronic) stress that results in a wide variety of stress-related illness including respiratory allergies which affect the breathing pattern and can at times lead to severe condition of breathlessness. Stress: Living in a constant worry cycle and faced with major stressors, one succumbs easily to the physical symptoms of stress, which can lead to asthmatic conditions and other allergic reactions. Laughter Yoga is an effective method to reduce stress. It improves the prognosis of the disease and helps in lowering the levels of stress-related poisons in the body. It has the ability to reduce or even clear allergic reactions. Hearty extended laughter is the best exercise for those suffering from asthma and bronchitis. It improves lung capacity and oxygen levels in the blood. It also flushes the lungs, strengthens the diaphragm and promotes healthier diaphragmatic breathing. Diaphragm Breathing: The usual prescription for asthmatic patients is chest physiotherapy to remove mucous (phlegm) from the respiratory passages. Blowing forcefully into an instrument and blowing balloons is one of the common exercises given to asthmatics. Laughter Yoga does the same job, more easily and at no cost. Many people suffering from asthma and bronchitis who practice Laughter Yoga daily in laughter clubs report marked reductions in the frequency and severity of their attacks. In many cases their symptoms have disappeared completely within months of daily laughter sessions. Immune System: By boosting the immune system, Laughter Yoga increases antibody levels thereby reducing the frequency of chest infections. It also tones up the mucous clearing system of the bronchial tubes. Frequent belly laughter empties your lungs of more air than it takes in resulting in a cleansing effect similar to deep breathing. This can be especially beneficial for patients who are suffering from emphysema and other respiratory ailments. Other Allergies: Research has confirmed that negative emotions can trigger allergic skin reactions. Disorders like hay fever and eczema are regulated, in part, by hormones and neuropeptides released into the bloodstream in response to stress. Though the most common cause of childhood asthma and respiratory allergies is genetic and physical, emotional stress caused by anxiety, anger or frustrations are also childhood asthma triggers. Children to day are faced with numerous stressors and pressures that can negatively alter the breathing pattern resulting in hyperventilation and rapid breathing that can further worsen an asthma attack. Both arthritis and spondylitis are debilitating disorders with inflammation of the joints. Arthritis is frequently accompanied by joint pain and the common symptoms include pain and limited function of joints. Inflammation of the joints in arthritis is characterized by stiffness, swelling, redness, and warmth. The most common form of arthritis is osteoarthritis caused by the wear and tear of cartilage and the other is other is rheumatoid arthritis which is an inflammation resulting from an overactive immune system. Among the spondylitis family, Anklyosing spondylitis is the primary disease and is a form of chronic arthritis that primarily affects the spine. As a medical practitioner for over 25 years, Dr. Kataria says that people often fall sick due to indiscriminate eating and lack of exercise. In this high-pressure, high tension modern world people have little or no time to exercise. Dr. William Fry, well-known research scientist from Stanford University scientifically proved that 10 minutes of healthy laughter is equal to 30 minutes on the rowing machine. Laughter is the best cardio workout. As an exercise it has similar benefits as compared to any other aerobic activities like jogging, dining swimming and cycling. Laughter Yoga is ideally suitable for people who cannot walk; have no time to exercise like business professionals and those who are bedridden. Dr. Otto Warburg, German scientist and Nobel Laureate said that the main reason we fall sick is because there is lack of oxygen in the body cells. Since Laughter Yoga combines laughter exercises and breathing from yoga, it brings more oxygen to the body and brain. Good supply of oxygen is the key for maintaining good health as well as healing a variety of illnesses. It is also important for people suffering from cancer and chronic respiratory diseases like bronchitis and others. Since most people in laughter clubs in India are 50 and above, they are likely to suffer from several age related illnesses. We found that they benefited immensely from Laughter Yoga and the incidence of chronic illnesses like arthritis, chronic aches and pains, migraine headaches, allergies, Parkinson's disease, multiple sclerosis was greatly reduced. It may not cure the disease but definitely helps in enhancing one’s ability to cope with and maintain a positive attitude. Mental stress occurs due to the arousal of sympathetic branch of our autonomicnNervous system, which is very sensitive to carbon dioxide levels in the blood. Laughter Yoga provides an excellent cardiac workout, and triggers a breathing pattern that offers significant respiratory benefits. It lowers the amount of residual air in the lungs, replacing it with oxygen-rich air. This reduces the level of carbon dioxide in the lungs, and prevents the stress arousal system. The best way to reduce mental stress is to activate parasympathetic system which is opposite of sympathetic system. This can be done by changing the way we breathe. If we can learn to breathe from the diaphragm, mental stress cannot occur, even if you have stressful thoughts in your mind. Your body simply will not react to stressful thoughts.The diaphragm is a dome-shaped muscular partition between the chest and the abdomen. It plays an important role in the most vital function of respiration. During inhalation, the diaphragm contracts, and pulls down, to make space for the lungs to expand, and during Exhalation, it relaxes and pushes the lungs to facilitate exhalation. One of the prime objectives of Laughter Yoga is to learn how to move the diaphragm, and shift the awareness of Breathing from the chest to the Deep Abdominal Breathing. With the movement of the diaphragm, we can bring our emotions under conscious control. He started missing his moments with Laughter. It was then that he decided to do Laughter Exercises on his own. He tried a few exercises and continued experimenting different techniques every day. He felt great, and the result was similar to what he got from Laughter Clubs. 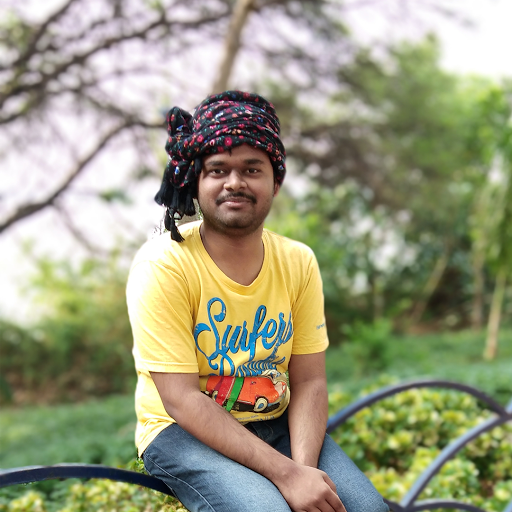 Highly motivated, he started laughing alone for few minutes on a regular basis... That was the beginning of Laughter Yoga Alone. Laughing Alone confirms that Laughter Yoga not only heals when practiced in a group but also when practiced alone. This exercise regime which comprises laughter and breathing exercises is very beneficial to people looking for alternative methods to laugh daily and also for patients suffering from chronic ailments and for those unable to move and exercise. Especially, in the West where Laughter Clubs meet just once a week, this is an innovative way of practicing Laughter Exercises and reaping the same health benefits as from the Clubs. Do not judge the quality of your Laughter. Tell yourself it's not about Real or Spontaneous Laughter. You are laughing and playing like a child only as a form of an exercise, which has scientifically proven benefits and gives more oxygen to the body to remain healthy. Appreciate and give yourself a pat each time you Laugh more and Without a Reason. If you continue to do Laughter Yoga Alone 40 days it will become a new habit. The brain develops new circuits and the act becomes a part of your unconscious mind. In NLP language, eliciting such a bodily reaction is called an "ANCHOR". By performing a joyful anchor action with the body, the mind can experience the emotion of joy complete with the chemical reactions it triggers. Our body and mind can be trained to laugh at will. It's like learning to ride a bicycle. Once learnt, you never forget it. Open Your Mouth Wider and Wear Loose Clothing: Don't try to keep your jaws tight. Each time you do Laughter Exercises; open your mouth a bit wider to enable laughter from the belly. If your mouth is tightly closed, laughter will come from the throat or the upper chest. Wear loose and comfortable clothes for Breathing and Laughter Exercises. The trousers should be tied below the naval and should not obstruct the abdominal movements. Try and avoid tight belts that restrict belly movement. Duration and Ideal Time: Ideally one should spend 15 minutes each on Yoga Breathing and Laughter Exercises, with short breaks of relaxation. But you can begin with 10 minutes and gradually increase the duration. Laughter Yoga Alone should be ideally practiced the first thing in the morning as it will carry the cheerful mood and good feelings right through the day. If you don't feel like laughing early in the morning, begin with some warming up and breathing exercises. This will help to charge the body and soon facilitate laughter. You can also do it at anytime of the day to boost your energy levels. Before you start laughter exercises, you must do some warm up exercises like Ho Ho Ha Ha, gibberish talking and tongue swindling and very good very good yeah are few bodily expressions of joy which you can practice. These exercises will be a lot more fun if you do them alone in front of a mirror. Do them gently in the beginning and gradually increase the intensity until you get comfortable with screaming with joy. You can change the pitch and tone of your voice to find your comfort levels. The slogan of all Laughter Clubs is, ‘Fake it until you make it'. This is based on a scientific fact that even if you are faking a particular emotion, the body cannot differentiate between real and make belief emotions. a) Try faking laughter by making different sounds of laughter Ha ha ha He he he he Ho ho ho.... and keep playing with these exercises. It is a kind of silliness. You will discover that you start laughing genuinely while hearing the absurd sounds of your own laughter. b) Keep trying different ways of fake laughter sounds and you'll find some of them affordable and amusing. Stick to them and practice it more and more. c) Initially fake laughter may seem awkward but with repeated practice your body will get conditioned and the moment you start faking laughter it will get into the real laughter mode very quickly. The freedom and expression of the voice affects the freedom of emotions in the mind and vice versa. This is the reason that everyone has a distinct sound of laughter which keeps on changing according to our state of mind and personality type. The way one laughs is a signature of one's character. Since there is a two way link between the body and the mind, by opening up your voice and sound of laughter, you can bring about a change in your emotional expression. 1.The purpose of laughter and breathing exercises is to prolong the exhalation in order to empty the lungs out completely. This will help to inhale deeply and get more oxygen flowing into your body. While doing laughter exercises, try to keep on laughing until you run out of breath. This will remove the residual air from the lungs. 2.While laughing alone, keep your chin up as it becomes much easier to laugh if you are looking upwards. It makes the respiratory tract straight and facilitates the flow of air. 3.Spreading your arms out and looking upwards creates a happy body language. Because of the body mind link, this happy posture leads to release of happy chemicals in the brain. a) Take a long breath and start saying Haaaa Haaaa Haaaa Haaaaa Haaa five to seven times. Then try to laugh and keep laughing until you run out of breath. Keep in mind that the sound of Haaaaa Haaaaa and laughter should continue within the same breath so as to empty the lungs out completely. In the beginning it might feel a bit awkward but soon you'll start getting bouts of real laughter. b) Use the vowel sounds Aeeeeeeeeeeeeeeee and prolong it while raising your arms over your head. Keep your chin up and laugh ha ha ha ha Repeat the same with Aaaaaaaaaaaaaaaaaaaaaaaaaaaaaaaaaaaa......and Ooooooooooooooooo............ Do it five to six times and take a few deep breaths in between. It is ideally performed in the morning, right after you wake up, straight on the bed. Sit on your knees and place some cushions in front of you. Raise your arms, push up your chin and start saying a pronged Aloooooo in a crescendo. Then end it by saying a loud Haaa and laugh heartily. Go down as you do this and dig your head into the cushions---carry on laughing and don't stop if you're enjoying it. This exercise should not be attempted by people suffering from positional vertigo as hey might feel giddy on bending down. Also remember to pad your bed well with cushions so that you don't hurt yourself as you bend down. 1.Lie down on your back, hold your knees together with both your hands and slowly bring them closer to your chest. 2.While doing this, push your chin upwards and keep your mouth a little open and exhale. This helps to straighten the respiratory tract and allows better and free flow of air. 3.In the next step, release your knees and inhale while taking in deep breaths. As you bring your knees closer and push your chin upwards use the sound reinforcement technique of laughter. Say a prolonged Haaaaaaa in a crescendo and then start laughing. Take a few deep breaths in between the bouts of laughter. While laughing you can either keep your eyes open or closed depending on whatever makes you more comfortable and helps you laugh easily. Laughter Yoga Alone is a great way of releasing stress and negative thoughts. It is a very useful technique to dissipate anger and helps focus on meditative activity. It also helps develop self -confidence as it reduces shyness and inhibitions. It helps to deal with minor irritations that come across our way in daily lives. Broken vending machines, traffic jams, rude teenagers, long queues in supermarket can cause major stress reactions. Learning to laugh alone helps to face these ‘free floating anxieties' in a much positive way. 2.Push your hands in a jerky manner, saying the syllables Ho Ho twice. This moves the abdominal muscles and the diaphragm. 3.While pushing your hands downwards to the ground in a jerky manner say ha ha. 4.Do ho ho ha ha aggressively moving your hands in different directions. Keep doing it intensely for one or two minutes and then take a few deep breaths and feel the relaxation. 5.If the intensity of emotions is very high do it for five minutes with breathing breaks in between. Our lives are flooded with innumerable situations that give rise to irritability and stress. We call them ‘free floating hostilities' as they are freely available everywhere. These infuriating situations bring a big change in your temperament and attitude. Two studies completed in 2007 may help convince the business world of the potential of Laughter Yoga for business. Both studies used a series of Laughter Yoga sessions (rather than funny movies or humor) to generate laughter in the workplace and measured stress and emotional variables before and after the course of the study. The study was undertaken by one of India’s leading scientific research organizations. The results of the Bangalore study were extremely positive. In the Laughter Yoga group there was a significant drop in heart rate, blood pressure dropped significantly, cortisol levels were significantly reduced, positive emotions increased by 17% and negative emotions dropped by 27%, perceived stress dropped significantly, and Alexithymia dropped by almost 9%, indicating a significant improvement in emotional intelligence. Self-efficacy is the belief in one’s ability to organize and carry out courses of action necessary to achieve a goal or manage a situation (Bandura, 1986). This personal belief influences the choices people make, the effort they put forth into working toward a goal, how long they persist when confronted with obstacles, and how they feel during the process of working toward goals. 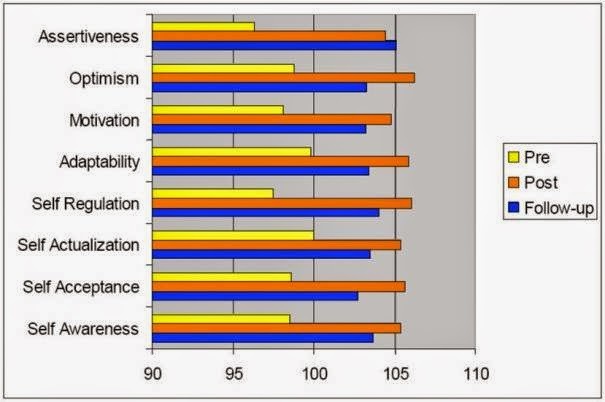 Self-efficacy beliefs affect performance in the workplace. 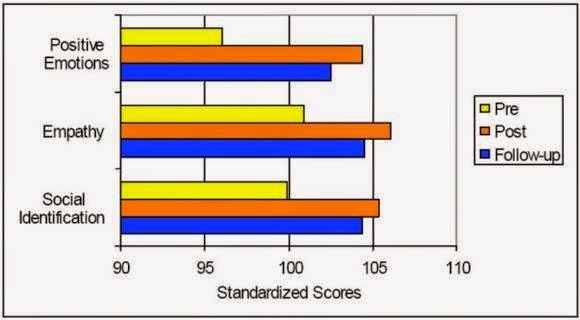 Personal efficacy testing was done the week before, the week after, and 60-90 days after the series of daily Laughter Yoga sessions. Laughter Yoga was administered for 15 minutes a day for 14 days. 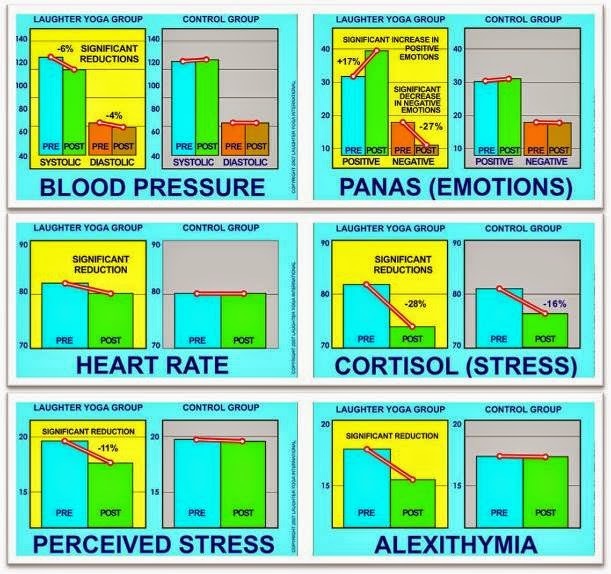 The results show significant improvements of the Laughter Yoga group in all areas, with positive changes of 100% occurring in a number of areas. It is particularly interesting to note the long-lasting effects of the laughter interventions. Did you know you can shorten your urls with Shortest and make money from every visit to your shortened urls.